Customer service will overtake price and product as the key brand differentiator in the next four years. So, enhancing your customer experience should be your key focus if you want to stay ahead of competition. But, this is difficult when you plan your routes with pen and paper. Manual route planning doesn’t give you enough control over your operations. And when you have no ability to drive operations, how can you ensure customer satisfaction? But, you can nullify all these worries easily with Route4Me’s routing optimization software. Are you wondering how it can do this? Read on to learn more. The biggest problem with manual route planning is that it is ill-defined. So, it can’t guarantee accuracy of the routes planned. This means that your drivers could get stuck in an area. This could be due to bad weather conditions or rush hour. Also, they might get caught by traffic police for driving the wrong way down one-way roads. They may even have to circle a large institution, such as a hospital, to find the exact drop off location. All these obstacles lead to a wastage of time and productivity. This will thus ultimately impact your customer experience as the deliveries would be delayed. But, this is not a problem when you use Route4Me’s route optimization software. It can design efficient and well-optimized routes within 30 seconds! And, most importantly, it factors in all the critical requirements. These include sunrise/sunset, weather, specific time windows, vehicle capacity, and weight. It does all the complex calculations, so you don’t need to invest hours in analyzing and planning routes. Your drivers will no longer get terrible routes and they’ll make deliveries on time. This will establish your credibility and encourage customers to do more business with you. A downside of manual planning is that you have limited control over what your drivers do. You never know: They might take prolonged breaks or take naps during work hours. The impact of such activities would affect you. This is especially true if deliveries are time-sensitive, such as of medical supplies. Also, there is no way to ensure that your drivers are following the properly planned route. So, you remain dependent on your drivers, which ideally should be the opposite. When you can’t control your employees, you can’t ensure they offer optimal customer experience. You would thus be directly and indirectly responsible for every customer disappointment. However, this is not the case with Route4Me’s fleet route planning software. It comes with a GPS tracking feature that will help you to be on top of every driver’s activities and effectively direct them to job sites. You can even contact the drivers to ask them to step it up to reach customers on time. You can also use the data as feedback to improve or fire incompetent drivers. Your drivers will also realize that they are being tracked. So, they would be more responsible and accountable for every job they take on. This will ultimately ensure on-time deliveries and customer satisfaction. Your customers’ requirement can change at any time. For example, they might require an immediate delivery on priority. And, delivering on such requests is difficult, especially when you plan your routes manually. But, if you can satisfy such requirements, your customers would find you trustworthy. You would become the go-to source for their every need. This would encourage them to do repeat business with you. And, you will be considered more of a partner than just a vendor. This is what Route4Me helps you achieve with its GPS tracking feature. It helps you see which driver is nearest to the customer who needs immediate delivery. You can then reroute the vehicle accordingly to deliver as requested. Also, you would know whether a driver is behind schedule. This would help you provide an accurate delivery time when customers ask for ETAs. You can even keep them informed of any late delivery times. Moreover, you can do same-day deliveries. You just need to add the destination to Route4Me’s route scheduling software and it’ll show which driver should take the package. That’s it! This will show that you are committed to ensuring a successful relationship. And, it’ll eventually push them to do more business with you or refer more customers to you. Remember, one happy customer can equal up to nine referrals for your business. This is according to American Express. No business wants customer complaints. There could be reasons for complaints, but customers express dissatisfaction without cause at times. So, they might complain about a non-delivery or delayed delivery, even if it was there on time. When you plan routes with pen and paper, you can’t put a stand against such complaints. This is because you don’t have any data that you can use as proof of delivery. And, this is where Route4Me’s vehicle route planning software proves to be of immense help. It provides every nitty-gritty delivery detail. These include the time the driver turned up at the customer’s location and how long they were there. Thus, when a customer complains and you are right, you can show them your data as truth. Route4Me also comes with an eSignature feature. This protects you from any false customer complaints. An eSignature is nothing more than electronic signatures of the customers. And, your drivers can capture these on their smartphones once they make a delivery. They can also capture the location, date, and time that the signature was captured. With such information, you’ll have documented verification that the delivery was on time. This would be highly useful if there are any disputes later on. In this way, you can handle customer complaints easily with data on hand. You can even nullify arguments and improve your customer experience with zero glitches. You cannot improve your services without knowing where you need improvement. And, this is only possible when you have data on hand of all your activities. Yet, traditional route planning does not give you the required data as it is not data driven. This is where Route4Me’s routing optimization software comes in. It software offers a reporting and analytics feature. This gives you the data you need to improve your customer experience. Whether any stops were missed or took longer and, if so, why. You can then use this data to provide feedback to your drivers and work on improving your operations. And, when you have a tight operational process, it is bound to result in a better customer experience. 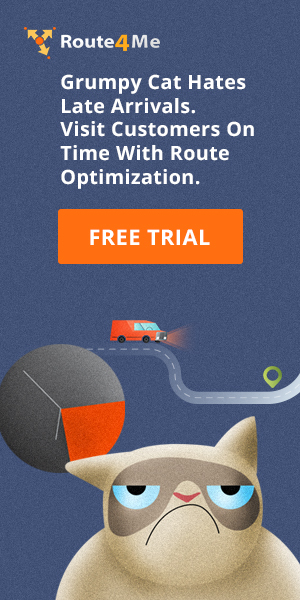 Route4Me’s routing optimization software is a customer-focused product and take the responsibility to ensure customer satisfaction. So, you don’t need to worry about it. 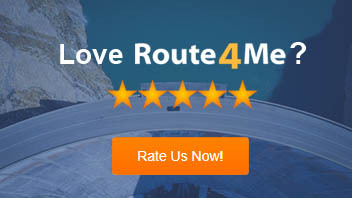 This is why millions of customers have already trusted Route4Me as their reliable partner. It improves their customer service and streamline their route planning process as well. 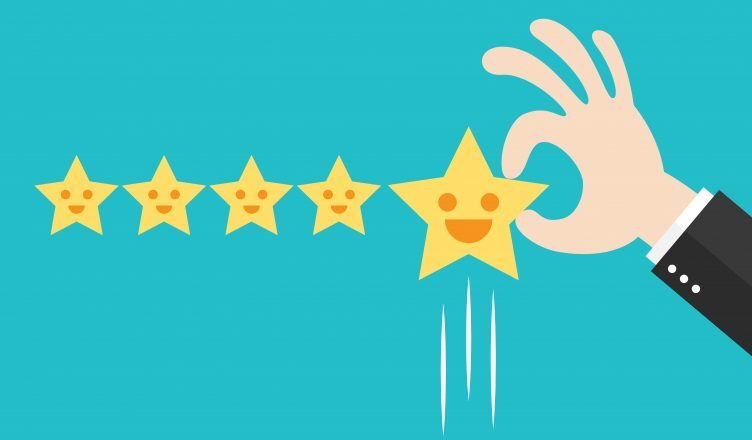 So, how do you improve customer experience currently? Do you have any questions? Please feel free to leave your comments below, we’d love to hear from you.